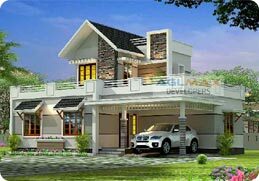 The Villa Project Harmony is located at Moolepally, Cherthala, Alappuzha district. Harmony is a sanctuary of peaceful living .Get you are not away from urban civilization .Just 1.5 km away from manorama junction cherthala.Where you get the best facilities at cheap cost to easy accessibility. 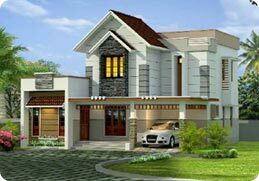 The Villa Project Greenwood is located at Pattanakkadu, Cherthala, Alappuzha district. These finest villas are set in serene backdrop of greenage at pattanakad, cherthala.Just 30 minute drive to vytila , kochi.Located at 100 meters from NH.It provides easy accessibility to all the places through NH. The Villa Project Primerose is located at 11th Mile, Cherthala, Alappuzha district. These luxury villas are set at the finest ambience which nourishes you with fresh air & cool breeze.Located at 300 meters from NH.Near 11th mile cherthala.alappuzha district. The premium villa project Delight is located at Eramalloor, Alappuzha. We provide a peaceful living experience here. The Premium Villas are set at 500 meters away from Highway nearby Wincentre, Eramalloor. Easy accessibility to all the places through NH. Just 25 km drive to Vytila, Kochi.. 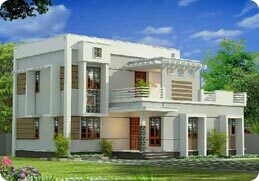 The core purpose of our firm is to make people enjoy a great living experience.This itself differentiate us from other builders.Our firm is mainly focusing on construction and also we render our services in real estate and building design consultancy. Our firm is providing projects which are ranging from budget homes to premium villas.And from pre-booked to ready to occupy at affordable cost in cherthala. 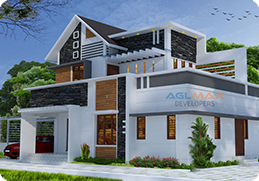 At AGL MAX DEVELOPERS our best trained professionals are thinking about how to create ideas for building the best budget homes & premium villas.At present our firm is rendering our services at Cherthala- The satellite town of Kochi. I would like to take this opportunity to let you know how thankful we are for choosing AGL Max Developers as our builders. Everything is exactly what we have planned, actually much better than planned. Just wanted to appreciate the work that Mr Siby John is doing. He has been very supportive and helpful from the day one when I came to collect the documents for Loan processing till the time the Villa got registered. It is a great pleasure in expressing my confidence and good experience with AGL Max Developers as a professionally managed one of the best service providers in Real Estates that I have come across. We are so Happy with how our house turned out, it is exactly when we were hoping for and more. We listen to friends and family members, talk about what are the challenges they face while building there house. We had just the opposite experience. I just wanted to pay a bunch of thanks to the AGL Max Team for getting things done in timely manner "by keeping the customers benefits in mind. Just wanted to thank Mr Siby John for all the handwork they has put together for us in our new home. He always had everything completed in a timely manner… I think it is natural to have some anxiety as a customer to go througt the building process and he always kept me informed and explained the process well. I love our home and I am happy with our experience with AGL Max Developers.